Krifal's TASK- the logistics and transportation platform is built on Business Insights Platform that enables content delivery and advanced collaboration. Our platform enables you to analyze performance, and transform the way you measure, monitor and manage business. The platform provides next-generation performance management capabilities to gain visibility into operations and discover hitherto unrealized business intelligence. 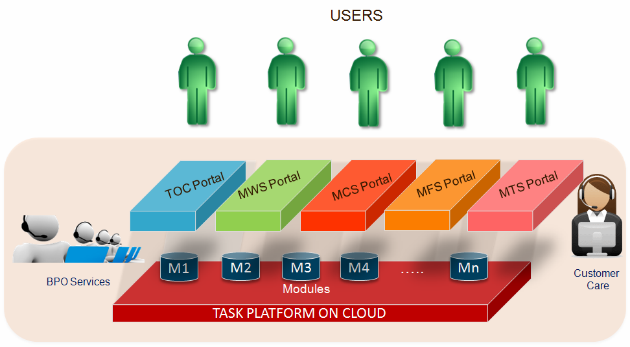 Significantly, it enables collaboration with other users to organize actions and responses, manage operational scenarios as well as jointly plan and work on strategic initiatives. MTS for Logistics Service Providers provides an end-to-end platform that empowers enterprises to maximize sales, deliver a superior customer experience across channels and lower costs of customer engagement. 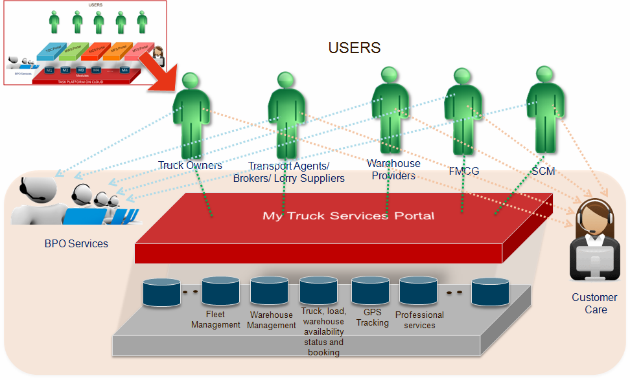 My Fleet Services (MFS) is a fleet management and tracking solution for your fleet. The Automatic Vehicle Tracker (AVT) allows you to monitor, observe and manage your fleet in real time online tracking, 24/7. MFS offers an off the shelf solution for personal as well as school, corporate, finance companies, bus and public transport fleet assets. MCS for Cab and Taxi Companies helps you to manage your complete taxi fleet. TaskOnCloud is a platform where you can trace your mobile phone and track your calls. The solution is available for Android.